After an early-morning coffee stop, I decided to take the long way home, a jaunt through the countryside. Riding along, I was looking for some kind of photo op to document the ride. I think this is quite representative of the ride. 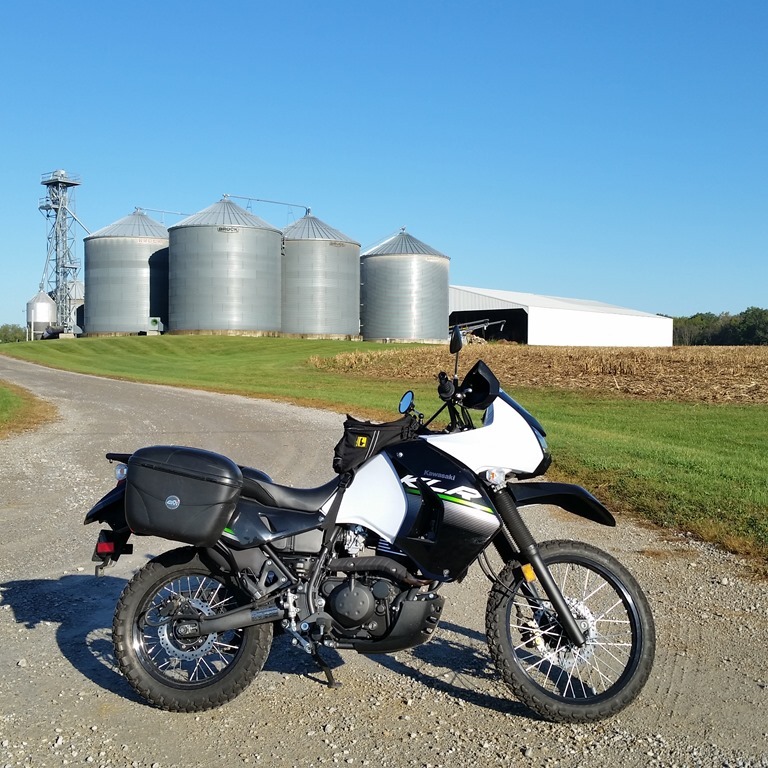 Brent, I’m glad you got a new groove with the arrival of the KLR. There are days when I think I should add one back to the garage as a general purpose bike. Or maybe a V-Strom? You can’t go wrong with a V-Strom.